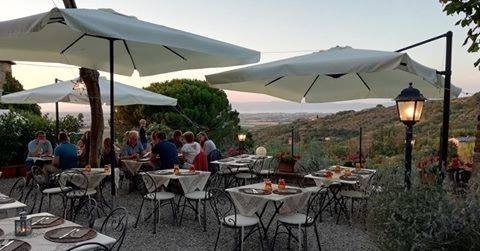 Osteria La loggetta is our partner restaurants in Paciano and all our guests receive the 10% off. This restaurant is open from April 1 2019 to October 2019. Osteria La loggetta change menu each two 60 days and has a kids corner. Dishes are made of local and organic products cooked with extra virgin cold pressed olive oil. Most of the vegetables, are homegrown, while all the fresh pasta and the desserts are only homemade.. The wine cellar have a good selection of the best Tuscan and Umbrian wines and with the most tasting local beers. 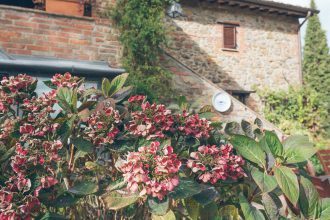 “La Loggetta” boasts a terrace with a panoramic view that stretches from Montepulciano to Lake Trasimeno – the perfect place to simply relax and leave the problems of the world behind. And to add even more luxury to this little slice of heaven, La Loggetta offers its clients a selection of the world’s most famous cigar brands including Cohiba, Hoyo de Monterrey, Montecristo, Partagas and ‘Romeo y Julieta’ (Winston Churchill’s favorite). So why not enjoy a fine cigar with a generous measure of your preferred spirit and ‘puff and sip’ yourself to paradise? WHERE: Via Guglielmo Marconi, 27 | 06060 Paciano (Perugia). Just after the Locanda Manfredi. 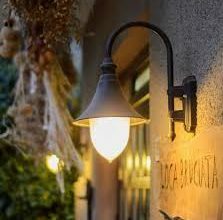 You can access Osteria la Loggetta from Piazza Santa Maria (the square with the big church), where you can also park for free. After the first osteria, on the left.